I’m mostly stalling for time until strip number 50, actually. 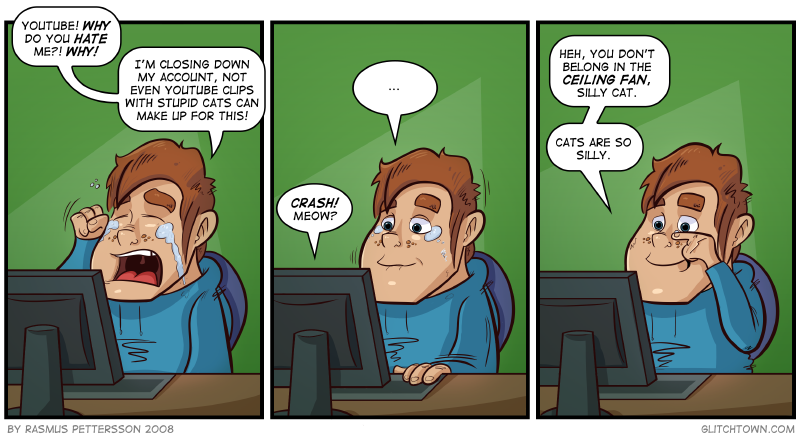 Don’t worry, this youtube-is-evil-and-cats-are-silly-subplot-whatever will soon be back on track. I’m afraid I might be the only one that finds this strip funny. 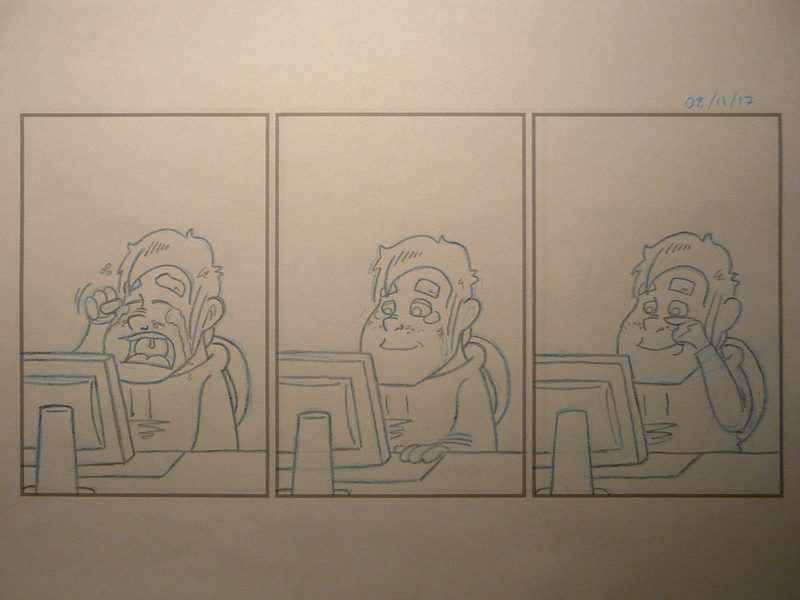 This entry was posted on Monday, November 17th, 2008 at 4:00 am and is filed under Comic. You can follow any responses to this entry through the RSS 2.0 feed. Both comments and pings are currently closed. no, you’re NOT the only one finding it funny! Haha, we’re the perfect match then, Barry. Guess I have a weird sense of humor myself. I love cats. I love this strip. Great Waior 😀 But then again… who doesn’t love cats?